SureCall Signal Boosters. 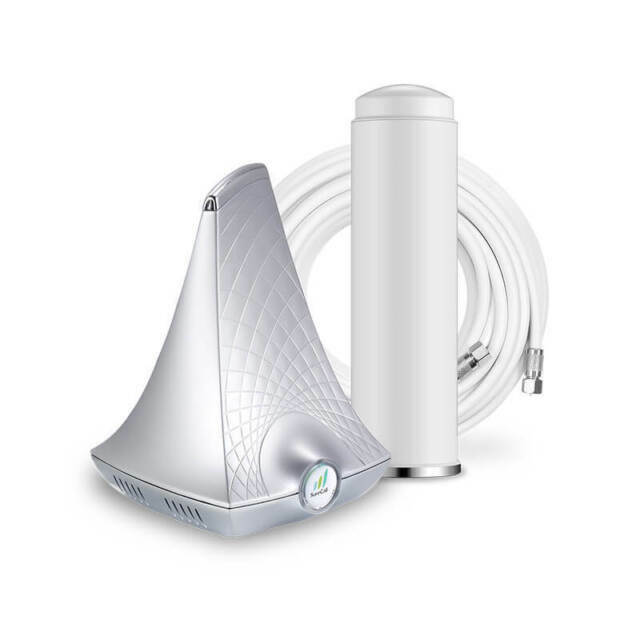 SureCall Flare 4G Easy Install Cell Phone Signal Booster | SC-Poly-DT-O-Kit. whether you have an iPhone 7 or an Android device, SureCall amplifiers support any phone that runs CDMA, GSM, EVDO, LTE, HSPA and WCDMA technologies. Nice to have something perform better than advertised for a change. Went from barely being able to make or receive calls, data etc. to thinking about getting rid of my Hughesnet satellite internet and just using a hotspot via my phone. Good LTE signal and fast responses on internet, text and email (which has always been glitchy on Hughesnet). I’m ecstatic to have reliable phone and data service even for the price. Took me from -111 to -83, so it's a substantial improvement. It tripled my download speeds in the mornings. Doubled down and upload speed in the evenings. Works better than expected. I'm going to get a larger and longer coax cable made up and mount the antenna even higher. The key is height and 360° clear reception. I played with the antenna locations, higher the better within reason. I need a out 60' of coax to put it in the best spot. 26' of the ground just above the high point of my roof works great. I'm about 6 miles from the cell tower and booster gives me LTE speeds everywhere in a 3 bedroom house with a metal roof. Love it so far! Does not work here like it should.We are in a low area with trees blocking the signal. 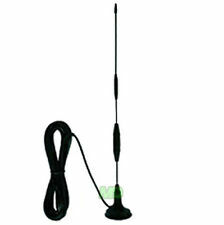 We have it high on our roof and it is always blinking and looking for a signal..I think I will try to return it.